I have posted scrubs ,packs and treatment on dry skin but due to demand i am writing a new separate topic on dry skin.Hope it helps my readers. Before taking bath apply cream mixed with lemon juice for 20 min .It will help a lot. While taking bath add drops of olive oil in water or tub .That will not dry the skin specially when bathing with warm or hot water. Apply glycerine mixed with honey .It will also bring glow on your face. Mashed bananas with milk works great for dry skin .Mixing this with oats is a great inexpensive scrubber. Alternate nights apply olive oil as moisturizer . Semolina mixed with cream is also a great pack. Left piece of bread can be kept outside for overnight and in morning crush it and add milk to form a coarse paste . Apply adding honey to it. 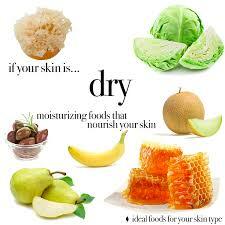 Take Vitamin A and E for dry skin.It will improve the condition. Avoid taking hot showers as it worsens the condition . Orange juice mixed with strawberry pulp is a magic. Papaya pulp mixed with lemon and milk will help a lot. Try to bathe with lukewarm water and add salt to the water.Believe it will help. Apply olive oil mixed with aloevera gel at night and sleep to wake up to a supple,soft skin. This blog article is full of information with nice skin and Hair Care Tips. Hope you would be able to publish more such articles in future also. Our Florida Orthopaedic doctors and staff will be happy to help you with your orthopedic problem, whether it requires surgery or medical management. Our orthopaedic surgical team performs a variety of operations like Total Knee and Total Hip Replacement, Carpal Tunnel Release, Shoulder and Knee Arthroscopy etc. Your Blog is too good, You have collected Great information on every topic. i bookmarked your blog for future.. Your blog is so useful for everyone. You have great collection about beauty tips. Thanks for sharing. Great Article! Your every tips are very useful to us. Here above every topic is informative. I like your blog. I hope you collect more information about skin and hair care than publish article. Thanks for sharing your great ideas. I have read above the article and it such a very beautiful. I attract by that. Every thing looking so informative and useful for me. Three novel botanical approaches to inhibiting acne and diminishing post-acne scarring . Dry skin is very common in hot places. Many people are ignoring about it but it can cause severe damage if not being treated. 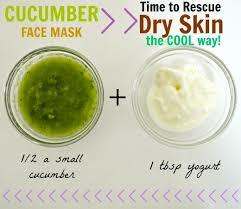 It's nice to know that there are some easy-to-do ways like this to prevent dry skin.